Floor length chiffon dress with twisted straps and tonal lace panel detail on the waist and skirt. 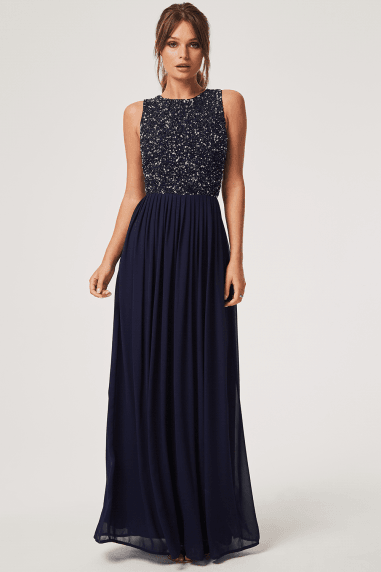 Plunge neckline, low cut back and long a-line skirt. Zip fastening.